Many types of elements found in a typical home are both decorative and functional. One example is the basic curtains that cover windows. These are different from drapes and blinds which are common in a residential home. Curtains come in many styles that will match the design of any interior area. Curtains are a type of window treatment added for style and for privacy. Your options for curtains will vary based on your needs and style preferences. You can find various options at any home improvement store and on the Internet. If you want to save money on the cost of these items for your home, then the best option will be make your own from flat sheets made for your bed. Sheets are a great option to use for curtains as they come in many colors and patterns. The only thing to do is search for a style you feel can be used to update the window treatments in one or more rooms in your home. 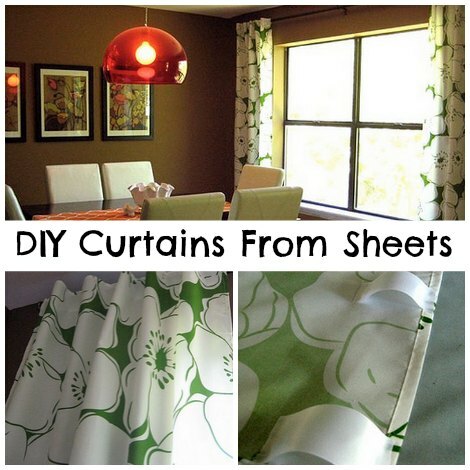 Only a few steps will be necessary to convert your flat sheets into a usable window treatment. You will need a few simple tools to complete this project. The most important is a sewing machine that will be used to hem the sheets to fit the size of your window. If you are skilled and patient, this step can also be completed by hand. Cutting may be necessary if your window is small or you do not want your curtains to go all the way to the floor. A rod or clips can be used to hang the sheets over your window. The option you choose will depend on the result you want to achieve. This is a simple and easy way to update the look of any room in your home. The only thing you need to do is determine the style or pattern of curtains to use.